K.A.C. Bookkeeping Services, Inc. is a full-service woman owned Bookkeeping, Payroll, Accounting & Business Services firm. We offer over 25 years of bookkeeping and business expertise. K.A.C. boasts high quality services using the latest technology to our advantage. KAC’s expertise and commitment to the highest of industry standards in accordance with GAAP. We are a preferred vendor for several companies that are required to be government compliant as it directly relates with their dealing with various government agencies. Compliance regulations; NC Department of Revenue, Internal Revenue Service, FL Department of Revenue, GA Department of Revenue, VA Department of Revenue and numerous others. K.A.C. facilities are 1,500 square feet. We are located Mooresville, NC; in Iredell County. On site high powered dual servers, with both onsite & offsite data back up. Intuit QuickBooks versions from 2000 thru current year. 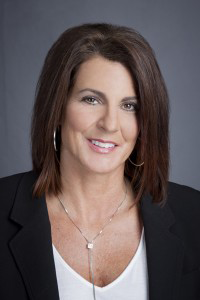 Kim Contino is Founder and President of K.A.C. Bookkeeping Services, Inc. Kim has over 25 years of bookkeeping and business development experience. She brings unparalleled knowledge in the business industry, has a proven track record amongst her vast client base and is a hands-on accounting professional. Let us put our accounting knowledge & expertise to work for you today!